#Description#ULYSSES mixes trench coat styling with a modern look. This relaxed, straight-cut jacket features draped elements such as a shawl collar and a clean-lined, curved back "rain guard" overlay. Notched-out holes along the sides seam of the overlay allow the jacket's belt to exit through from the back to the front. 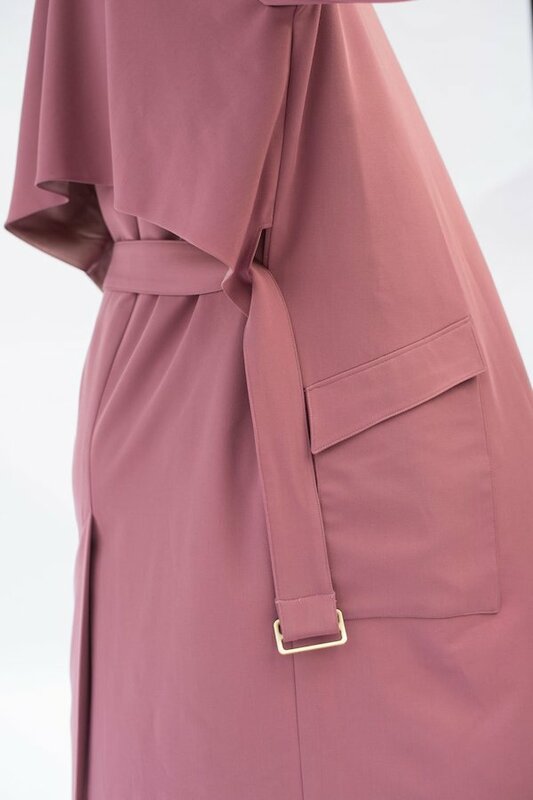 Other features include shoulder epaulettes, clean-lined, angled patch pockets with an upper flap, a center-back vent, and a gently angled hemline at the front.The body of the coat is unlined, making this a perfect, cool style for the warmer months. Instructions are given for finishing seams with binding, which creates a beautiful interior finish to the garment. #Details#Self: Medium-weight fabric with high drape. Tencel twill, soft linen, double weave crepe, bamboo twill, nylon outerwear.Lining: Compatible with self fabric. Bemberg, silk charmeuse or habotai, acetate, cotton voile.